Nature is one of the greatest inspirations for artisan design, and these attractive floral earrings are proof of that! 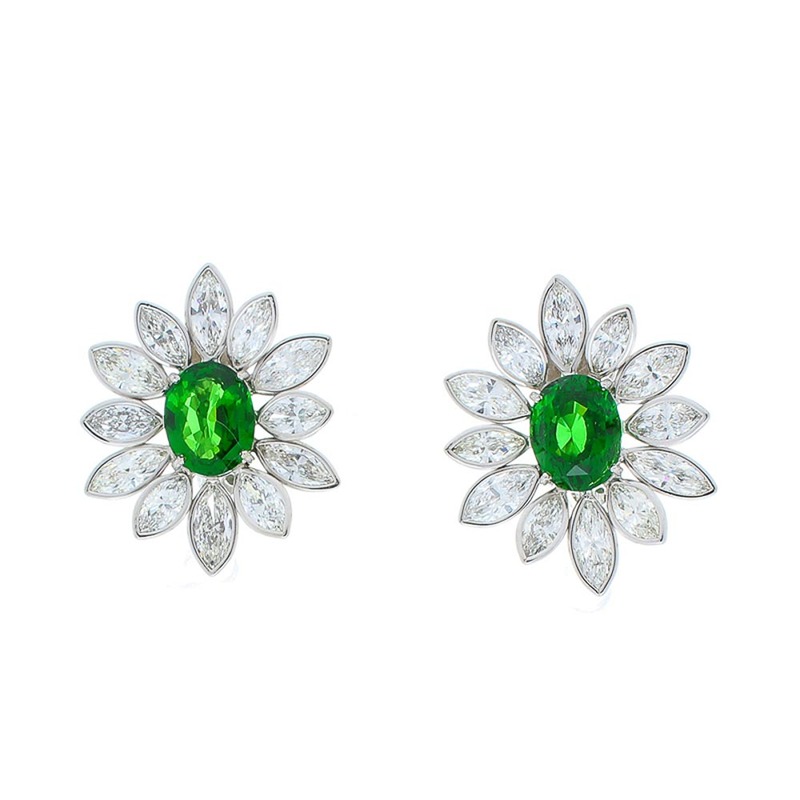 These earrings feature dazzling marquise diamonds as petals, with bright, vivid green tsavorite that add an enormous pop of color in the center. The tsavorite garnets are from Brazil. The marquise diamonds total 7.41 carat and the oval tsavorites are 5.10 carat total. Each gem is hand-wrapped in 18 Karat white gold and sit comfortably on the ear. This is the ultimate fancy stud earring.